PISA, 1st August 2018. Mathematician Alessio Figalli has won the Fields Medal. 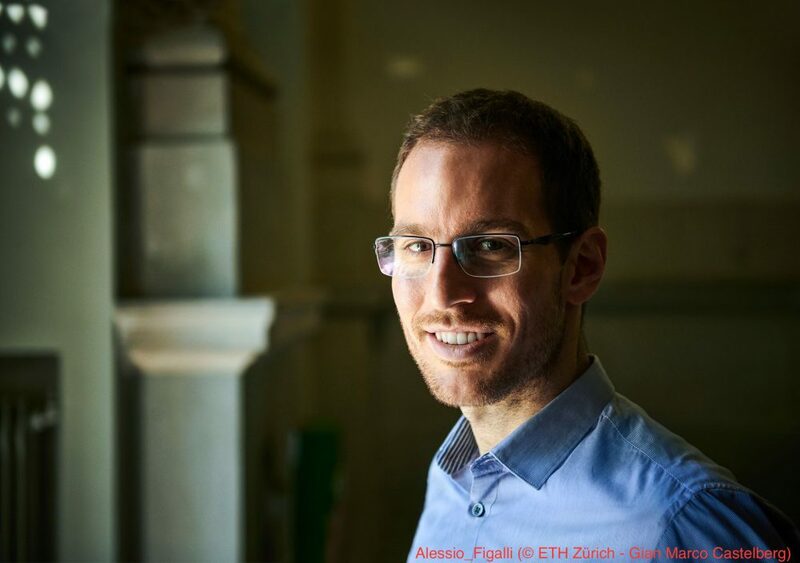 This young Italian scientist, alumnus of the Scuola Normale Superiore and since 2016 professor at ETH Zurich, received the most sought-after recognition for mathematicians (considered to be the equivalent of the Nobel Prize) during the opening ceremony of the 28th “International Congress of Mathematicians”, which takes place in Rio de Janeiro, Brazil, from the 1st to the 9th of August. Awarded every 4 years to mathematicians under 40 years of age (Figalli is 34), the Fields Medal rewards the results of Figalli’s research in the fields of optimal transport theory, partial differential equations and probability, all of which Figalli has been investigating since his first years at the Scuola Normale and which have marked his entire career as a scholar. The commission which awarded the Fields Medal to Figalli was presided over by Professor Shigefumi Mori, President of the International Mathematical Union, himself a winner of the Fields Medal in 1990. This important recognition comes 44 years after the first (and up to now only) Fields Medal given to an Italian mathematician, awarded in 1974 to Enrico Bombieri, professor at the Institute for Advanced Studies (Princeton) and professor at the Scuola Normale from 1974 to 1977. Figalli was born in Rome on the 2nd of April 1984. He attended the liceo classico Vivona (classical high school) in Rome; in the summer of 2002 he decided to take the admission exam for the Scuola Normale. 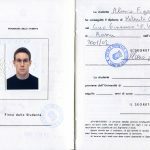 After having passed the latter he was an undergraduate student at the Scuola Normale between 2002 and 2006, skipping many of the steps of his university education. He obtained his degree in less than 4 years instead of the usual 5 years envisaged in study plans: a surprising speed also for the Scuola Normale’s standards, for which the average overall mark must not be below 27, with no marks below 24. During his entire course of studies at the Normale Figalli was tutored by Luigi Ambrosio, a professor of Mathematical analysis at the Scuola, who had also been an undergraduate student at the Normale and who was the first person to congratulate the former student. 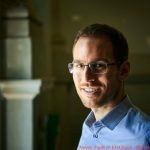 Ambrosio is in fact also a Plenary Speaker at the Rio De Janeiro congress, which includes among the invited speakers another alumnus of the Scuola, Guido De Philippis, now a professor at the SISSA (the conferences of Figalli and Ambrosio will take place on the 4th of August and will be accessible in streaming). After having passed the admission exam for the Ph.D course at the Normale, Figalli underwent his doctoral course of studies within a co-tutorship with the École Normale Superieure of Lyon, with Luigi Ambrosio and Cédric Villani (also winner of the Fields Medal in 2010) as supervisors of his thesis, entitled “Optimal Transportation and Action-Minimizing Measures”. The thesis was then published, with immediate recognition for its special value, by the Edizioni della Normale. His doctoral course of studies was extraordinarily fast, in the light of his scientific maturity and of the quantity and quality of publications produced in a very short period of time: he obtained his Ph.D qualification in only one year, compared to the 3 years of the traditional course of studies, and carried out the second semester of his Ph.D course at the École Normale Supérieure of Lyon, also under the tutorship of Albert Fathi, whom he had met in Pisa during a seminar. 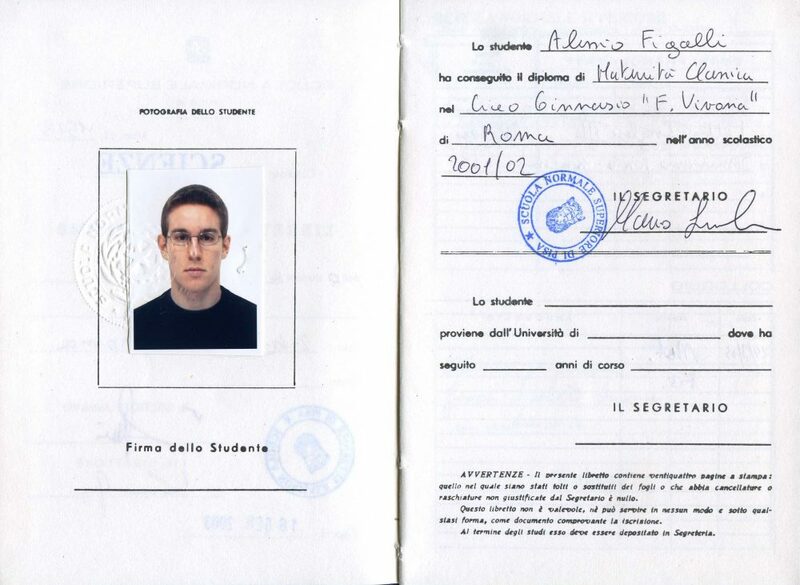 Thus in October 2007 this 23-year-old from Rome had already obtained his degree and Ph.D. But not only. This mathematically talented Italian scholar, being well-known in France, was invited to participate in a call at the University of Nice, as a researcher of the CNRS (Centre National de la Recherche Scientifique, the equivalent of the Italian CNR). It goes without saying that he came first. The following year Figalli was a lecturer at the École Polytechnique in Paris; then in 2009 he went further afield than the European borders, to the United States, having being called by the University of Texas in Austin. In 2011 he became a full professor in Austin, at the age of 27. Finally, in 2016 he was called as full professor at the prestigious Zurich Polytechnic (Eidgenössische Technische Hochschule, ETH). Author of over 149 research works published in the major international journals, Figalli has already received many acknowledgements in the course of his career, amongst them the Premio Feltrinelli Giovani of the Accademia Nazionale dei Lincei (2017), the O’Donnell Award in Science awarded by the Academy of Medicine, Engineering and Science of Texas (2016), and the Stampacchia Gold Medal (2015). In 2014 he was invited to participate as a speaker at the 27th edition of the International Congress of Mathematicians in Seoul, Korea. In 2012 he received an award from the European Mathematical Society (EMS Prize).